In a curious and brutal murder case, that is taking the city by shock, Praveen the son of a former AIADMK MP allegedly murdered his mother in Chennai's Besant Nagar area over a property dispute on Monday night. The deceased has been identified as Rathinam who was the wife of late AIADMK MP Kulandaivelu. As per Vikatan reports, the woman's daughter had received a call from the mother hours before her death where she complained about her son, Praveen, who had been fighting and demanding over family property. The reports further added that Praveen studied in the UK and was married and settled there, too. Soon after the incident, a relative of Rathinam informed the Shashtri Nagar police. When police reached the stop, her hands and legs were tied and her mouth was taped. She was lying dead on the floor. A search warrant has been issued for Praveen who is reportedly absconding and the body has been sent to the Government Hospital for postmortem. This page contains news relating to various facts and events. The views are generally about current affiars and general topics in diversified areas such as political, international, national, and regional issues, sports, health, travel, lifestyle, technology and business. People having similar interets on the above topics will find this page useful. 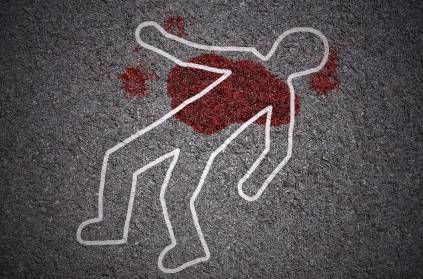 Former MP’s son brutally murders mother in Chennai over property issue | Tamil Nadu News.